Childline also received a large number of calls under the ‘restoration’ category, which involves children who are separated from their parents or those who run away from home. 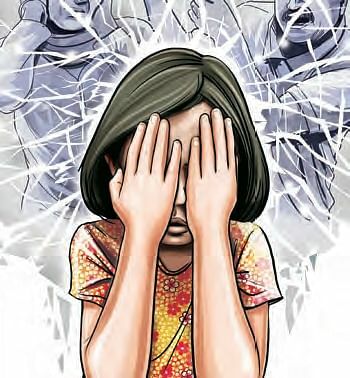 HYDERABAD: The number of calls requesting protection for children from various kinds of abuse in the State being received by the toll-free helpline for children in distress, Childline, have been increasing over the years. As per data obtained by Express, the number of intervention calls received by Childline under the category of ‘Protection from abuse’, increased from 3,208 in 2015-16 to 4,590 in 2016-17 and 4,671 in 2017-18. In fact, maximum number of calls received by Childline in Telangana in which intervention was required, was under the category of ‘Protection from abuse’. When contacted, A Ashwini, counsellor with Childline, said that protection from abuse involves various kinds of cases in which children are abused but are related to child marriage, child labour, sexual and physical abuse. Whenever Childline officials receive such calls they verify the problem raised through the phone call, alert district authorities and involve officials concerned in the case. Childline also receives several other calls in the category of ‘emotional support and guidance’. In 2017-18 1,795 calls were received in this category. Ashiwini said that issues in this category involve children facing depression and having suicidal tendencies, those facing problems at home. Childline also received a large number of calls under the ‘restoration’ category, which involves children who are separated from their parents or those who run away from home. After getting in touch with the child who is separated, in cases where it is not safe for them to be sent back home, they are sent to children’s homes. In last three years Childline has serviced 28,035 interventions in Telangana, including protection from abuse (12,469), emotional support and guidance (4,891), child lost (525), children in conflict with law (111), restoration (2,790), shelter(4,357), sponsorship (820). One can call 1098 to complain any form of child abuse.